Know what to expect from the hotel you're booking. In this day and age, reliable Internet access isn't a perk for business travelers; it's a must. The modern road warrior must be able to log in at all times, so hotels that have slow Wi-Fi – or worse, none at all, just won't work. Ideally, the hotel's Wi-Fi will be free, as well. This isn't exclusively about expecting a free service, although that's a part of it. It more comes down to the issue of logging in. No one wants to have to select their Wi-Fi plan every single time they want to quickly send an email. When you're looking at your potential hotels' Internet offerings, keep in mind whether or not it's going to be a pain to use it in short bursts. You can't always use star ratings to give you insight into Wi-Fi access, but the odds are good that higher-starred hotels will have better Wi-Fi available. Between phones, tablets, laptops and other devices, business travelers might need to do their jobs on the road. Keep an eye on the hotel's room description, and see if it mentions anything about how many outlets are available. If you can't find that information online, call in. You should be shooting to have a room with three to four more outlets than you'll expect you'll need. Odds are good that the front desk or the hotel's website will give you the total number. Hotels with USB outlets are a plus, but bring your own USB plugs just in case there's any issue. "Choose a hotel with plenty of work-friendly spaces." Obviously, you'll want to look for a room that has some sort of desk available, but you should also consider what kind of workspaces the hotel as a whole offers. The best hotels will have plenty of shared spaces (again, with free Wi-Fi) where you can go to be on the clock. Even if you don't expect to leave your room, you should keep this in mind: You never know if you're going to need a change of atmosphere. Choosing a hotel with plenty of work-friendly spaces will give you the chance to change it up if needed. Hotels with a high star rating may or may not have these types of spaces. A luxury hotel might have few areas that are appropriate for working, while a budget spot might offer plenty of options. For this, it's best to check the website or call to see what's available. Picking a hotel with a good location isn't just about being close to the places you're going to be heading to for work; It's also about making sure you'll be able to make good use of your time when you're not working. Try to pick a hotel that's close to work, restaurants and grocery stores. Make the best use of your business trip and pick a hotel close to the stores you'll need. Location is a huge part of the star-ranking system, so the number of stars should be a good indicator for this one. Picking the right hotel will ensure that your trip is productive. It's always harder to get to sleep when you're in an unfamiliar place. It's important to make sure you pick a hotel with a bed designed for comfort. Business travel comes with its own unique set of stress and anxiety-inducing factors – the last thing you need is a sleepless night before your big meeting. 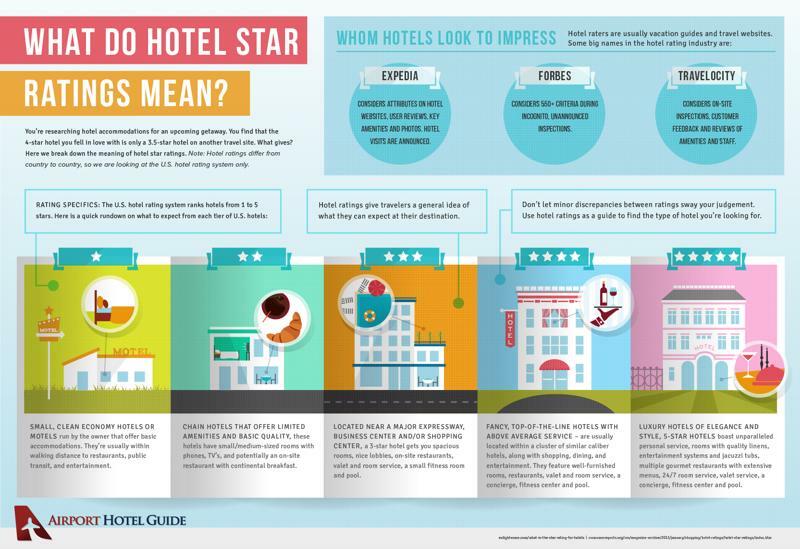 Five and four-star hotels are a lot more likely to be comfortable than those with only one or two stars. Still, even within rankings there are ways to tell if a room will be comfortable at night. Check to see if the room has blackout curtains, or if it's in a noisy part of town. This isn't something hotels will generally put on their websites, but you can do some digging to figure it out: For example, if you look online and notice there's a fire department across the street, it's probably going to be loud at all times.The same holds true if it's a district full of clubs or bars. Even if you can't find any indication that the hotel is innately sleep-disruptive, call the front desk to see if it offers complementary eye masks and ear plugs, just in case.